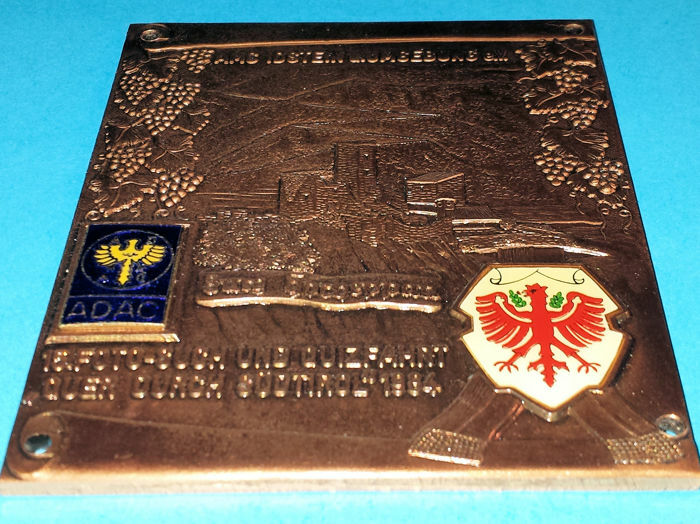 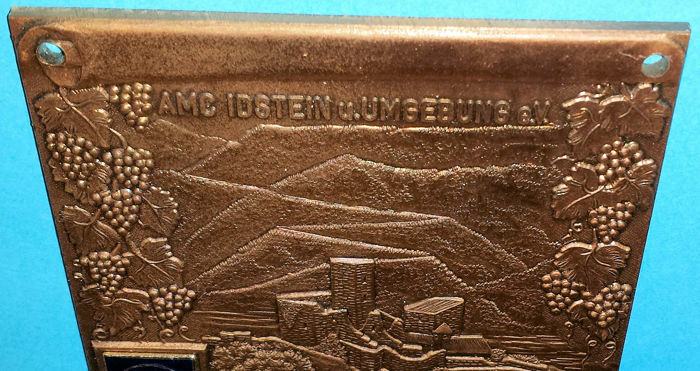 Car grille badge, ADAC - AMC Idstein of the 15. 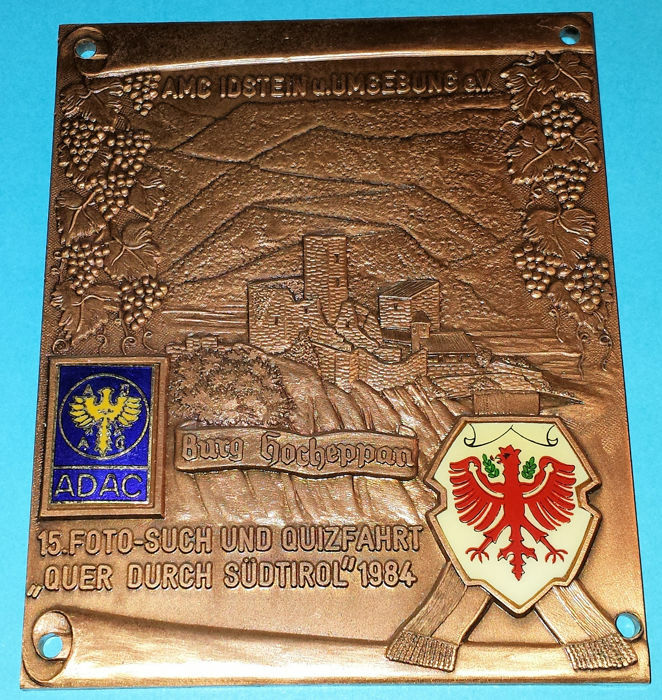 Photo search and quiz tour, through southern Tirol in 1984. 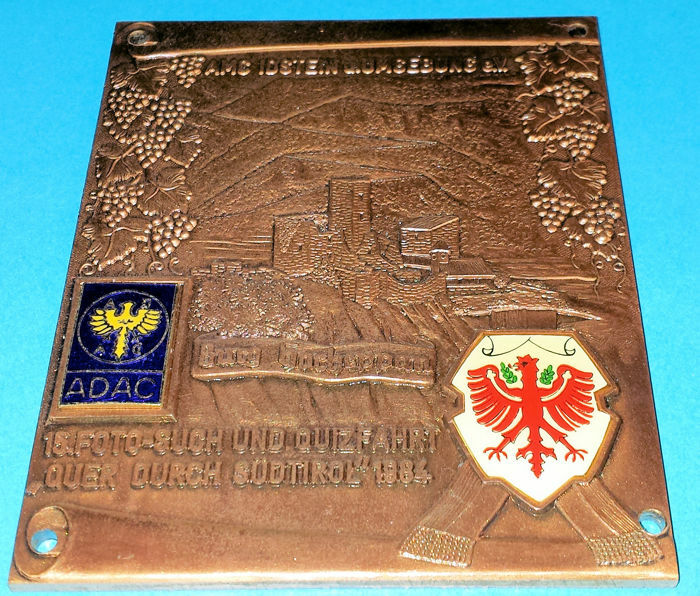 Very heavy plaque/badge, approx. 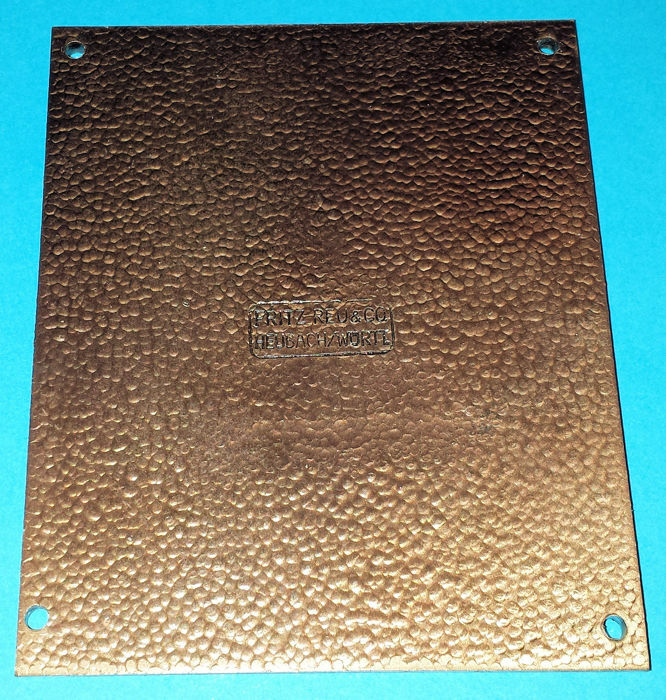 200 grams and measures 9.5 x 8 cm. 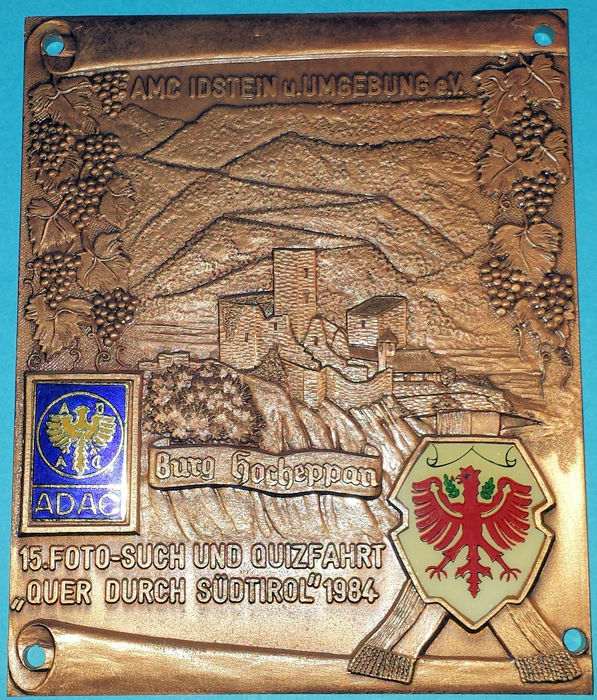 Produced by Fritz Reu GmbH & Co. KG in Heubach, Baden-Wurttemberg, Germany. 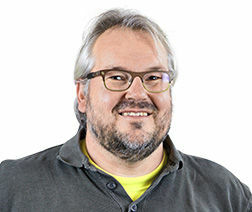 Pode levantar este lote em mão do vendedor: Zuid-Beijerland (ZH), Holanda.